The Corinthian Hills subdivision is one of the most sought-after subdivisions in Dillon, Colorado. With exquisite in-your-face views of Lake Dillon, Peak One, Keystone Mountain, Buffalo Mountain and Red Mountain it’s no wonder so many people enjoy spending time here. The Corinthian Hills subdivision is conveniently located off HWY 6 in Dillon. Only a one minute drive from downtown Dillon, five minute walk to the Marina and hiking and biking trails are out your back door. Keystone Mountain is a short 7 minute drive away or you can jump on the free bus that picks up right across the street! Arapahoe Basin, Copper Mountain and Loveland Mountain are all about a 10 minute drive! The Corinthian Hills subdivision is comprised of townhomes and single family homes featuring beautiful, spacious flooplans, lots of windows to maximize views and natural light and a very enjoyable clubhouse and tennis court! The clubhouse features an indoor pool and hot tub, steam room, sauna and exercise room. All this at your fingertips and more! Some of the most popular winter activities in the area including but not limited to; world-class skiing and snowboarding, Nordic skiing, snowshoeing, dog sledding, snowmobiling and ice skating. Dillon is situated in close proximity to four major ski resorts including Copper Mountain, Keystone, Breckenridge and Arapahoe Basin. For those staying off the slopes during the season, Silverthorne Outlets is just down the road and boasts over 125 different stores, suitable to impress each individual shopper! 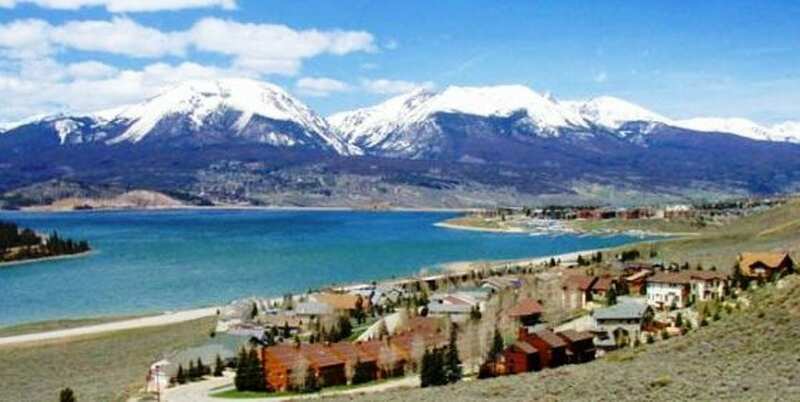 In the summer months, Corinthian Hills owners will enjoy the stunning reservoir known as Lake Dillon. The 26 miles of shoreline surround the lake, providing a fantastic location for walking, biking, fishing and picnicking. Breathtaking mountain backdrops create panoramic views from every direction of the lake. Enjoy world class sailing on Lake Dillon with access to multiple boat launches and two marinas offering boat rentals and repairs. Unlimited hiking and biking trails are centrally located, including more strenuous mountain climbs and lax afternoon strolls around the lake. Anglers find excitement from great salmon and trout fishing, as there are plentiful amounts of fish stocked each year within the reservoir. White water rafting opportunities are just a short drive from Whispering Pines Ranch and scheduled transportation is always available! Make Corinthian Hills in Dillon your mountain residence today! If you would like more information about this spectacular subdivision, the professional team of brokers at Real Estate of the Summit will be more than happy to assist you with all your Summit County real estate needs. Call our office at 970-453-1450 or fill out the contact form below and we will get in touch with you.